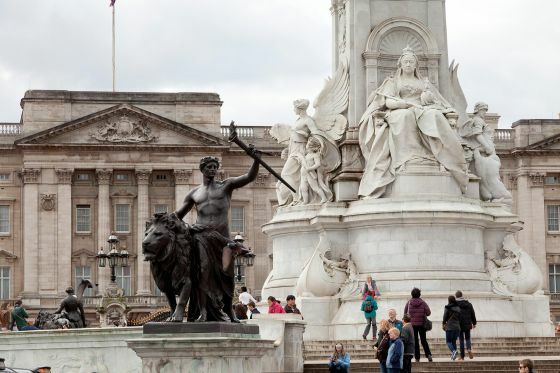 The Queen Victoria Memorial is located in front of Buckingham Palace and comprises of the Dominion Gates (Canada Gate, Australia Gate and South and West Africa Gates), the Memorial Gardens and a vast central monument commemorating the death of Queen Victoria in 1901. The monument is 25 metres high and uses 2,300 tonnes of white Carrara marble. As well as Victoria, there are statues representing courage, constancy, victory, charity, truth and motherhood. 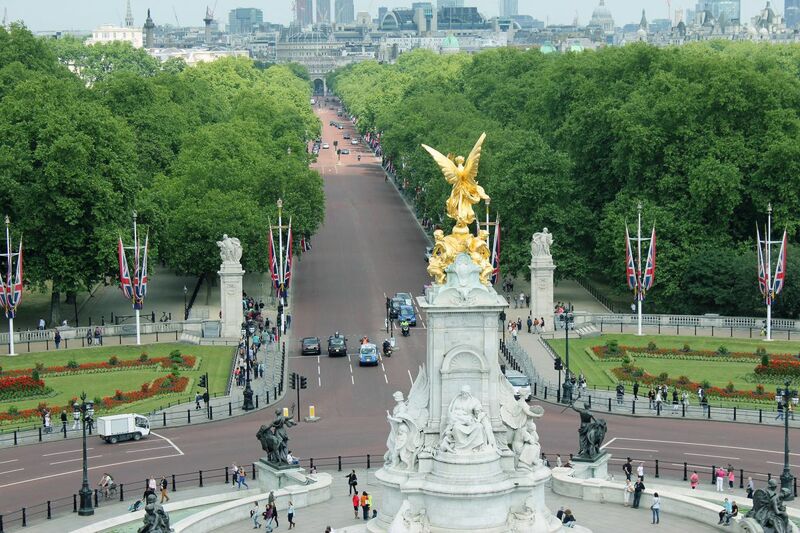 The central monument, created between 1906 and 1924, is by Sir Thomas Brock, but the whole design, including the Memorial Gardens, was conceived by Sir Aston Webb. 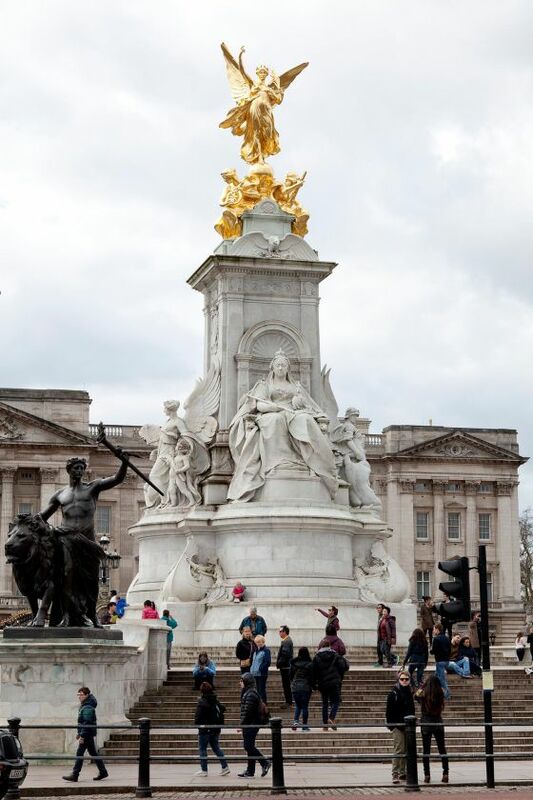 The Memorial was formally unveiled by King George V in 1911. The gates, piers, balustrades and retaining walls of the Memorial Gardens are all protected landmarks. The Memorial Gardens were created in 1901 as part of Sir Aston Webb's overall design for a memorial to Queen Victoria after her death that year. The formal flowerbeds are laid out in a semi-circular design around the central memorial and are a familiar sight during the many of the famous processions and ceremonies that take place in this area. The planting schedule follows a traditional seasonal pattern that is repeated each year. Each planting takes approximately 2 weeks and involves up to ten staff. Replanting of the beds in summer requires approximately 22,500 plants, including geraniums, spider plants, salvias and weeping figs. 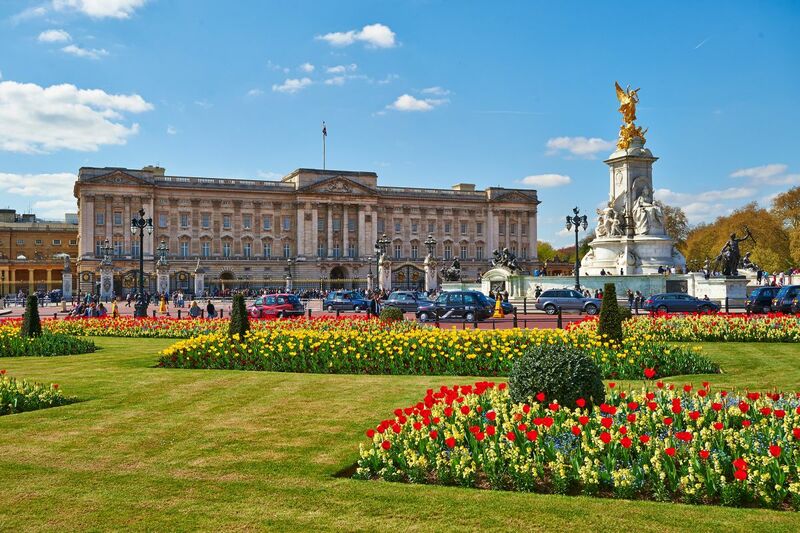 Scarlet geraniums are used to match the tunics of The Queen's Guard at Buckingham Palace. In winter time the beds are filled with about 50,000 yellow wallflowers and red tulips.